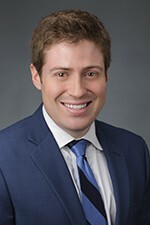 Brandon Stein focuses his practice in consumer financial services, representing creditors, debt buyers, debt collectors, and law firms on a variety of issues including both individual and class action claims brought under the FDCPA, TCPA, and other consumer laws both state and federal. He also has experience in contract disputes, collections matters, loan negotiations, mortgage foreclosure litigation, title disputes, and legal malpractice matters. Brandon drafts and argues various types of motions, including motions to dismiss and for summary judgment, as well as discovery motions. Brandon sees the discovery process through, takes and defends depositions, and has been involved in both trials and appeals. In doing so, he has handled both individual and class action lawsuits, as well as consolidated and multi-district litigation. Brandon's clients have included large national banks, debt collectors, debt buyers, construction contractors, small and large investment groups, law firms, and attorneys. In addition to Brandon's work in consumer financial services, he has also handled matters with the firm's immigration and legal malpractice groups. In the area of immigration law, Brandon has addressed family and employment-based immigration matters, assisted employers and their employees with obtaining various types of work visas, and assisted individuals with obtaining permanent residency and citizenship in the United States. He also has assisted several individuals with immigration issues that have arisen out of travel outside of the United States to other countries. Prior to joining Hinshaw, Brandon was an associate in the Chicago office of a national law firm serving the default industry. During law school, Brandon gained legal experience in a variety of ways. He served as a judicial intern to the Honorable Justice Annette Ziegler of the Wisconsin Supreme Court; clerked for a sole-practitioner personal injury, estate planning, and real estate firm; worked as a summer associate with a firm in St. Cloud, Minnesota; and interned in the Office of Legal Counsel for Wisconsin Governor Scott Walker. Brandon's law school accomplishments include having graduated with honors, and being a member of the Dean's List. He was a recipient the Dean's Academic Achievement Award, and Best Performance in Civil Procedure II. He graduated in the top 25 percent of his law school class. During his undergraduate studies, Brandon was a member of the Phi Alpha Delta Pre-Law fraternity, and studied abroad at Lorenzo De Medici, in Florence, Italy. He served as a legislative intern to Representative Reynaldo Mesa of the Kansas House of Representatives, and also spent two summers working at a white collar criminal defense law firm in Minneapolis. Brandon plays golf and hockey, and is also an avid fisherman. He enjoys studying history, keeping up with politics, and traveling.